The book includes speeches of rebuke by Moshe just five weeks prior to his death, there is a recap of the journey in the wilderness, and more than seventy new mitzvot!! Parshat Devarim starts off by relating how Moshe gathered all the people together and started off his rebuke to them. He spoke to the entire nation (Devarim 1:1), according to some opinions in seventy different languages (Rashi), mainly rebuking them for the sins that happened in their time in the wilderness. Moshe saw that this was the perfect time to rebuke them before they entered the land under Joshua. Also, as Moshe was about to pass away, he saw it as the opportune time, since taking rebuke from a man that is about to die is much easier than when they would constantly see him much after. After this rebuke, they took his words to heart and repented for the sins of their fathers. We see the same when Yaakov rebuked his sons; Reuven, Shimon and Levi before he passed away (Bereishit 49:3-7). Moshe rebuked the Jews out of love; we learn from his loving rebuke that one would take rebuke much more to heart when the person rebuking is doing it for the love of the other person and not just so that he can make the other person feel bad. One should only rebuke another when they are calm and not angry. In fact we learn from the Talmud that an individual that gets angry a lot usually does not live a full life (Pesachim 113b). Many of the people listening to this rebuke were just children at the time of the early years in the wilderness, however they did also unfortunately take part or witness transgressions at the beginning period and in the last year in the desert, including the transgression with the Moabite women. Moshe started off reproving the children of Israel for having delayed entry in to the land. In the midst of his rebuke, Moshe paused and expressed his love by giving a beautiful and fruitful blessing before continuing the rebuke (Devarim 1:11). Moshe then related his disappointment in the Jews, just before the giving of the Torah, when they requested judges and teachers as opposed to hearing the Torah directly from Moshe’s mouth, this we learned in Parshat Yitro (Shemot 18:13-26). Moshe then related how he appointed the judges and stated what a judge needs to attribute, including; to be learned in Torah and wise, he must be modest, G-d fearing, not attach too much importance to physical possessions and desires, must seek truth and justice, must be well liked and have a good reputation (Menachot 65a). Moshe then told off the children of Israel for the sin of the spies, which we learned about in Parshat Shelach. He expressed his anguish that they believed the spies slanderous report and related how it extended their journey in the wilderness to forty years (Bamidbar 14:34). Moshe relates the incident in Ma’afilim, which we also lean in Parshat Shelach (Devarim 1:44); the Jews attempted to attack the Emorim against G-d’s wishes and lost their lives as the Emorim killed them. Next up, Hashem forbade the Jews to attack three nations, they were, Sair, Ammon and Moav. Sair is another name for Edom (Devarim 2:1-19). The Jews were not allowed to attack them and invade their land as they were due a large reward from Hashem as they kept the Mitzvah of honouring their fathers very well, we learn in Parshat Toldot how Eisav went to lengths to honour Yitzchak (Bereishit 25:28). The Jews were also not allowed to invade and attack the Ammonites and Moabites. Lot was the father of both Moav and Ammon, and he in fact had guarded a secret of Abraham and Sarah, when he did not relate to Pharaoh that Abraham was married to Sarah and played along with the story that they were brother and sister, in turn by keeping quiet he saved the life of Abraham (Bereishit 12:12). Moshe then related the conquest of the giant Sichon and his army. Before relating how he overcame the giant Og and conquered his kingdom, all under the providence of Hashem!! This we also learned in Parshat Chukat (Bamidbar 21:21-35). Og was such a giant, the Talmud relates us that his thigh bone alone was absolutely enormous (Nidah 24b)! Moshe then related the divisions of the East bank Jordan and his admonition of the two and half tribes, which we learned about in Parshat Matot (Bamidbar 32:1-15). Moshe continues his rebuke but it progresses into next week’s reading, so watch this space to find out what else he said. 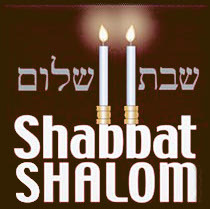 This Shabbat is known as Shabbat Hazon, which is defined as the "Sabbath of Vision," and refers to Isaiah's vision of the destruction of the Temple, which is the Haftarah reading for this week (Isaiah 1:1-27). This Dvar Torah is dedicated to Gittel Bat Chayna, who is a woman that is after giving birth and in serious danger, please everyone pray for her to make a full recovery.